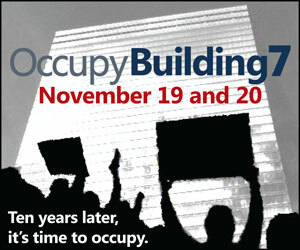 For the occupy movement failure is not an option! I heard Amy Goodman of Democracy Now, refer to Hip-Hop legend Russell Simmons as a member of the 1% that supports the 99%. But Russell is not a member of the 1%. The 1% is not the people who does well and gets rich with honest work, while keeping their integrity. I would like to make that kind of money myself. Wouldn’t you? This is not a class war. The 1% is an entity that has made an unfathomable fortune by stealing, deceiving, manipulating and murdering. Yes, the 1% has blood in their hands. That entity uses us as cannon fodder; it launches wars for its own benefit, using corrupt politicians to convince us that the wars are for freedom and democracy. It infiltrates governments through their economic systems (The Federal Reserve is banking cartel with their own interest in mind); it destroys democracy. The immense amount of money accumulated by the 1% is stolen money (bailout, inflation they cause etc); it is our money. Being above the law they have made a sham of our justice system. This entity is (on the sly) enslaving humanity; it is not only immoral and deceitful but also evil: the scum of the earth. Failure is not an option. There is evidence (this is not theory or speculation; it is e v i d e n c e. – AE 9/11 Truth) that 9/11 was an inside job, explosives were used; it was a controlled demolition that killed over 3000 people. With a couple of planes for show, it created an excuse for more war in the name of greed. Isn’t this unspeakable evil, psychotic behavior? In the name of the fallen, and for the sake of future generations, we must remove the scum and bring it to justice; without justice no society can have peace and prosperity. If this entity remains in control, the future of humanity is bleak, extremely bleak, perhaps horrifying. Therefore, for the occupy movement, failure is not an option. After I saw ‘The Money Masters’, it completely changed the way I see money, power and wars. No one wants to think 9/11 was an inside job. I definitely have questions (particularly about building #7) but I don’t know how explosives could have gotten into the these buildings unnoticed. People have hidden evil actions in history. What is worse is how many protect people who do bad things. Heather! There was an elevator repair done at the twin towers during the nine months before 9/11. I heard the crew disappeared after 9/11. Building 7 would have been easier to rig. You are right, and anyone who crosses their arms and do nothing is about as guilty as the criminals.